Feminist and womanist theologians exist in every religion, actively engaging in efforts to achieve gender equality from a perspective of faith and making clear that women’s equality and faith are not inconsistent with one another. Challenging misunderstandings or misinterpretations of religious texts that have justified segregating society along gender lines, feminist theologians have surfaced the issue of gender inequality in religious communities. For example, Native American feminist Renya Ramirez wrote an article proposing that gender equality be part of any conversation about the oppression of Native American communities, and she challenges the gender-discriminatory practices that some indigenous nations have traditionally followed. Zainah Anwar also empowers women of faith as a founding member and director of the organization Sisters in Islam, which seeks to teach gender equality through an Islamic framework. In addition, the Sikh Feminist Research Institute exists to engage the Sikh community in feminist research to understand further the causes of gender-based oppression and how to combat it. In the early 1970s, several Jewish feminists created the social justice group Ezrat Nashim in an effort to give men and women “equal access” to leadership roles within the Jewish community. María Pilar Aquino, a pioneer in the field of Latina feminist theology as a professor of religious studies, has authored more than 50 works on Latina rights, including Our Cry for Life: Feminist Theology from Latin America. Finally, bell hooks, a Buddhist Christian expert on womanism—a form of feminism centering on black women’s liberation—has written numerous essays and books analyzing the effects of racism, sexism, and spirituality on black women and feminist movements. Since early 2017, the Trump administration has launched a slew of attacks on immigrants: removing protections for hundreds of thousands of immigrants, including asylum seekers and long-term U.S. residents; detaining and deporting parents of U.S.-citizen children; and continuously targeting some of the most vulnerable people. In response to increased deportations, women of faith have called for immigrant justice in their local communities and beyond. Social justice activists such as Stosh Cotler— who helped organize a day of action for the Muslim and Jewish communities in solidarity with immigrants—were arrested at the U.S. Capitol while demanding renewed protection for Dreamers. 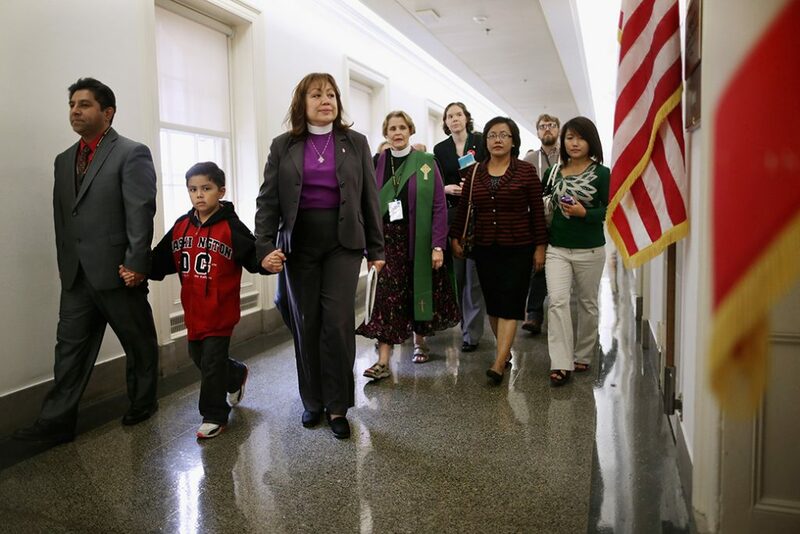 Bishop Minerva Carcaño was not only the first Hispanic woman elected as a bishop to the United Methodist Church, but she has also long advocated for immigrant rights, even testifying before Congress.